LANCASTER – The BLVD Farmers Market will be shifted one block west to accommodate construction of a parking lot along The BLVD. For one month, beginning this Thursday, February 21 and continuing through March 21, The Market will be located between Ehrlich and Fig Avenues. The parking lot will be located behind the new mixed-used retail/office building currently under construction at the corner of The BLVD and Date Avenue. The new parking lot will incorporate landscaping; an additional entrance, which will allow for better traffic circulation; enclosures for dumpsters; and more than 55 parking spaces. The BLVD Farmers’ Market is held year-round in downtown Lancaster. The current winter hours are noon – 5 p.m. through April. Products offered at the Farmers’ Market include fresh fruits and vegetables as well as a variety of delectable treats, baked goods, goat cheese, fresh honey and unique sauces, plus prepared foods such as Greek and Latin cuisine. 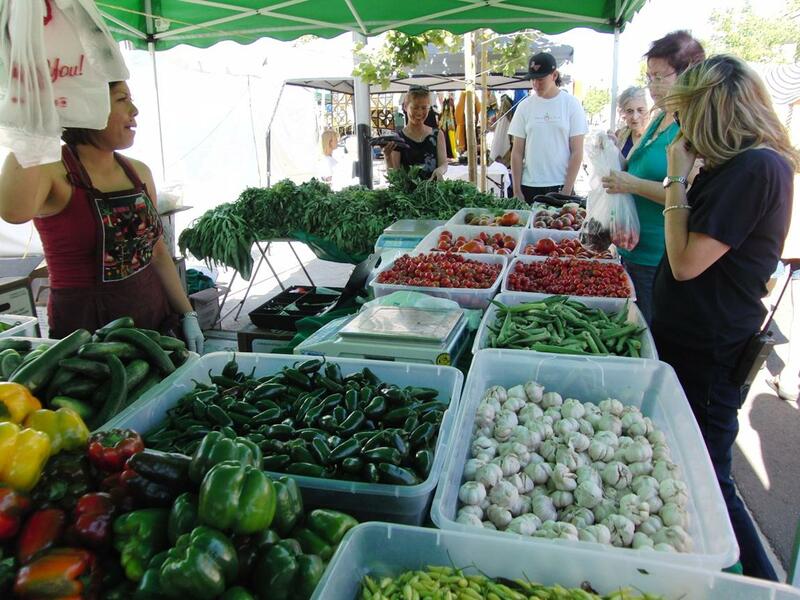 For more information on The BLVD Farmers’ Market, visit www.cityoflancasterca.org/farmersmarket or call 661-723-6077. 6 comments for "BLVD Farmers’ Market shifts west"
But hosting it on the blvd helps to bring attention to the business on the blvd. The park cannot be used for city events, as it is provided for use by the two church groups on either end of it. The night time use is for the homeless people as no one in their right minds would go there at night without lights. The park actually can be used for city events. The two turf areas, are the only parts of the park that are used only by the school during school hours. The other parts of the park are open all the time. Heroes Park is a VASTLY underused asset of the city. The sporting facilities at the park are TOP NOTCH. I only wish the City installs lights so that the park can be used both night and day, especially during the summer months when it is still 80+ degrees at 9pm. That is a good idea to transition the farmers market to the park, perhaps once a month to start. I agree..If they move farmers market to the park it would open up the Blvd. Plus we would get more use out of the park. I have proposed before the LC city council, that ‘Heroes Park’ be used for events. Also, the front of city hall could be used, too, for weekend events. Cars then could park on the Blvd and walk over a street to the event. And to bring back old days, stores could be open for people to stroll down the Blvd after going to event by city hall and Heroes Park.